Vision of Tibet, Tibet Day 2005, will also include delicious Tibetan food; hundreds of beautiful arts and crafts; Tibetan, Vietnamese, Burmese, & Mongolian Dancers cultural performances and musical offerings by RIGPA; an opportunity to discover The Dalai Lama Foundation’s study circles; a panel discussion on human rights and democracy in Asia; recent Tibet-related films such as Voices in Exile and Women of Tibet; and many other activities. Tibetan High School, the first and only Tibetan high school to serve the people of Golok, Tibet. celebration provides the public an opportunity to learn about the beautiful and intriguing culture of Tibet, a culture struggling to survive in exile. 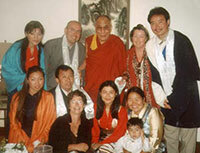 Tibetans young and old will present aspects of their ancient heritage. 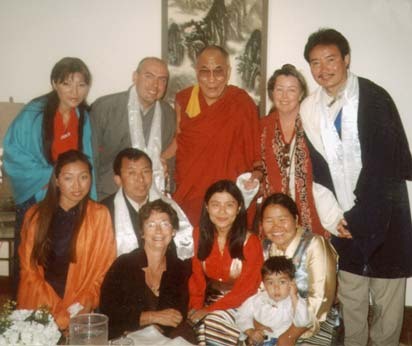 Admission is free; however, financial support can be given at http://friends-of-tibet.org/joinus.php or by purchase of raffle tickets at the event.